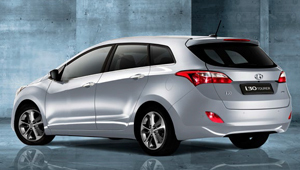 The new i30 Series II Tourer combines European styling with an abundance of extra space and versatile seating. 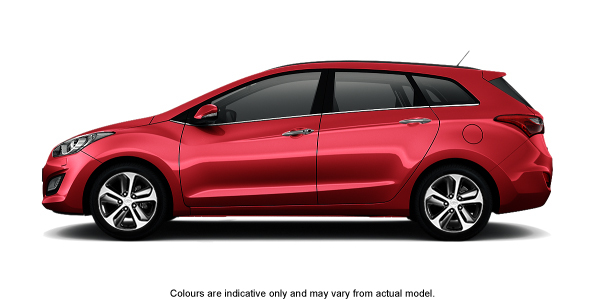 In fact, this intelligently designed and versatile vehicle boasts more than enough room for all your sporting and leisure equipment. 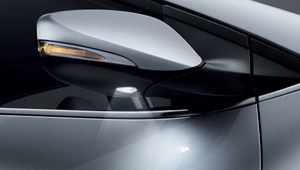 Hyundai's acclaimed Fluidic Sculpture design principles have been carefully integrated into the overall design, with new features such as our LED daytime running lamps (DRL) adding a touch of real style to this versatile vehicle. The spacious new i30 Series II Tourer is further enhanced by the addition of roof rails as standard. 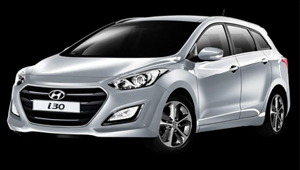 Choose from the eye-catching, new i30 Series II range, available in Tourer and Tourer Elite, powered by petrol or diesel engines, which gives you an exceptionally high level of standard inclusions and specifications in addition to even greater levels of comfort and safety. 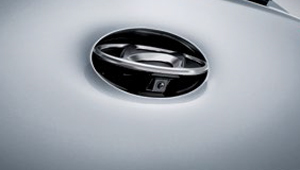 No matter which model you choose, you can be assured of a driving experience more enjoyable than ever before. 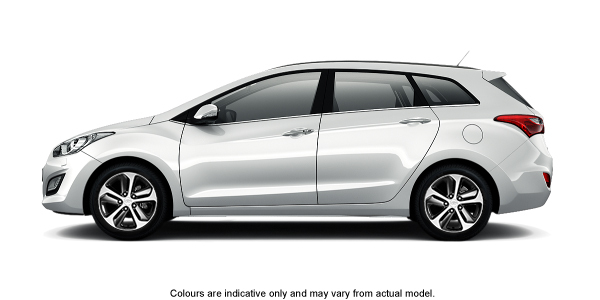 The i30 Series II Tourer is designed for you and the modern world in which we all live: switched on, always connected and highly mobile. Incorporating a 5" touch screen audio system with AM/FM tuner, USB/AUX and MP3 capability, six speakers, media ripping/storage and Pandora® Internet Radio capability when connected to a Smartphone with mobile data access. No matter what you take on your weekend adventures, the Series II Tourer's versatile seat layout allows for your cargo to be loaded and unloaded with ease. 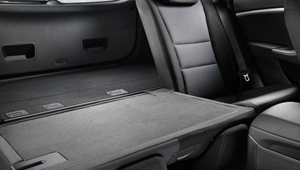 And with the rear seats down, a massive cargo area of 1,642 litres (rear seats folded) ensures you’ll have room for items of every shape and size. For added safety, every vehicle in the i30 Tourer range has a rear view camera to assist you whilst you park in tight spots and help you to avoid accidents. 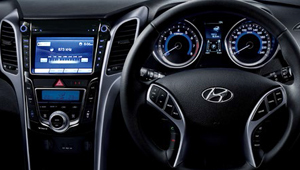 The rear view camera displays the area behind the vehicle on the i30 Tourer Series II's centre console touchscreen.